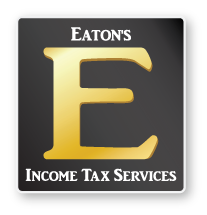 Eaton’s Income Tax Services team is here to prepare your income tax return, and to advise you on tax matters. Scott Eaton is an Enrolled Agent, enrolled with the IRS to represent taxpayers before the Internal Revenue Service for audit and other tax matters. Because of the difficulty in becoming Enrolled Agents, there are fewer than 50,000 enrolled agents. Contact us for your tax services needs in Orange County, California. Scott Eaton is simply the best! I send all my clients his way. He really knows how to save you money on taxes and is great at explaining tax concepts to the average joe. Very personable and able to communicate things in a way their clients can understand…it is refreshing to have an accountant who can get you the best return. Scott is very personable and does a great job of walking you through the process so that he can include every possible scenario and get you the best possible return. You can bet I will be working with Scott for years to come. Scott is wonderful! He helped me through some really rough tax issues after my husband passed away. If he feels that he isn’t the best person to do the job, he offers wonderful referrals. I trust his accuracy and recommend him highly.